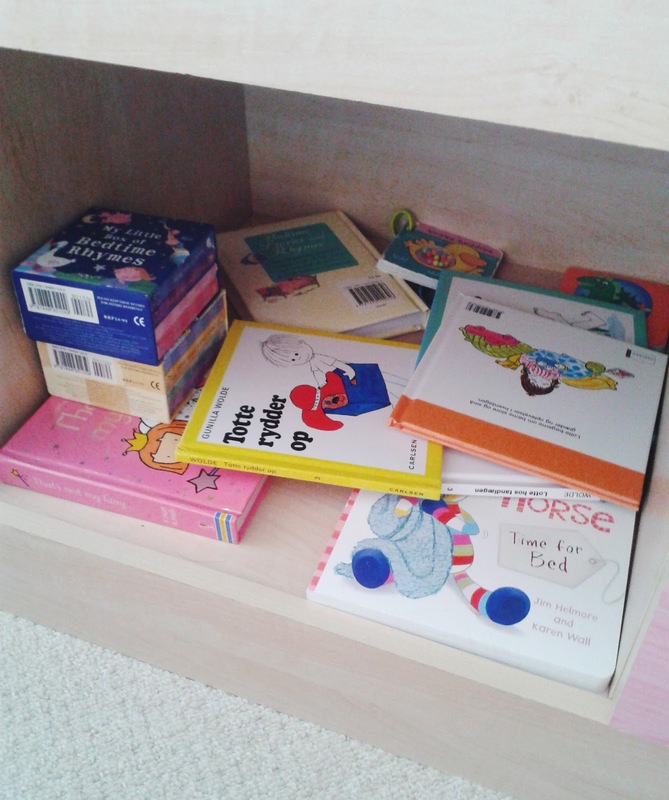 Being Mum: More Books, Books, Books! I loved the last Gallery topic so much that I thought I'd expand on it. You can read my original post here. 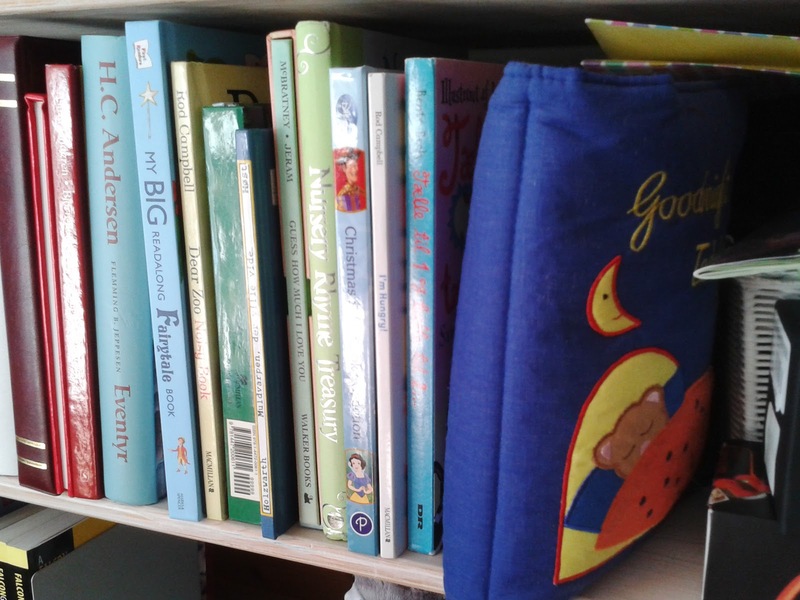 So as I said, Elizabeth loves books. We started reading to her long before she reached 9 months of age although it was around that time that she started to interact with the books herself. 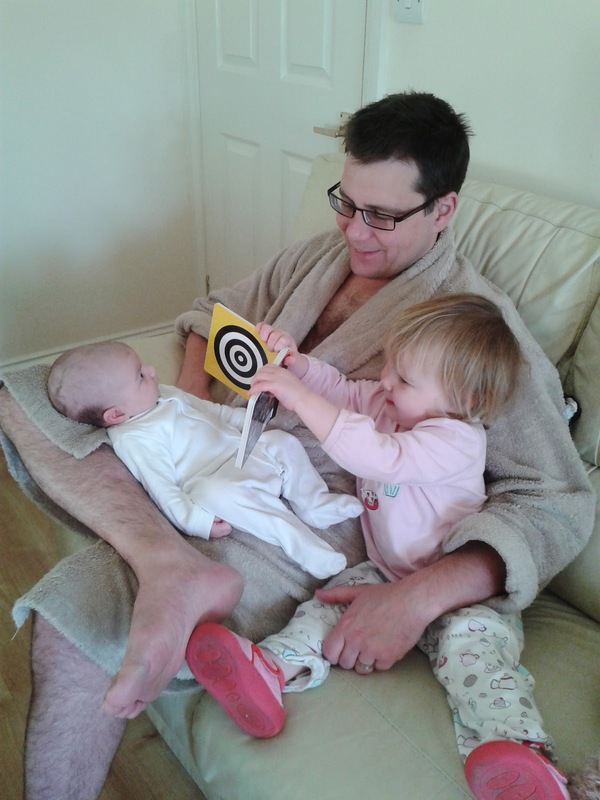 We started showing her baby books, the black and white ones with spots and stripes, when she was just a few weeks old. I suppose we started reading to her a few months after that and a story became part of her bedtime routine, which it still is. 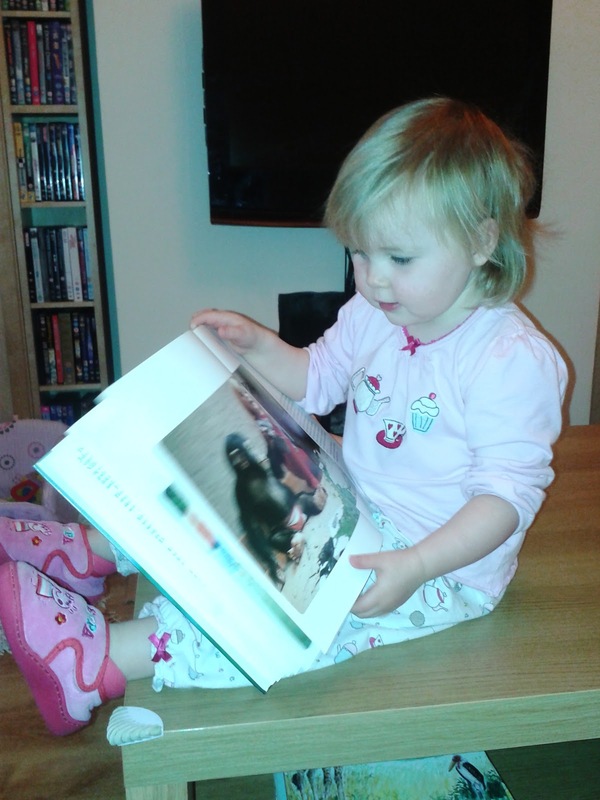 Now Elizabeth likes to sit and 'read' a book herself, just as much as she likes to read with either Mummy or Daddy. 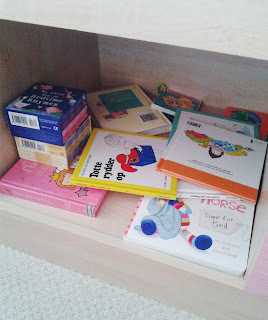 She has an impressive assortment of books, ranging from simple lift-the-flap board books to 'proper' books with paper pages that tell a more involved story. 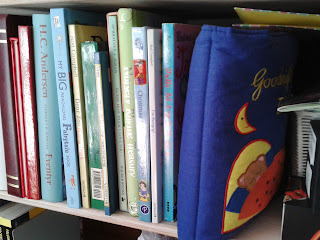 She easily has upwards of 50 books, both in English and Danish, spread around the house in various locations. Her collection is starting to rival ours! I have no doubt that she'll end up being a bookworm, just like we are. 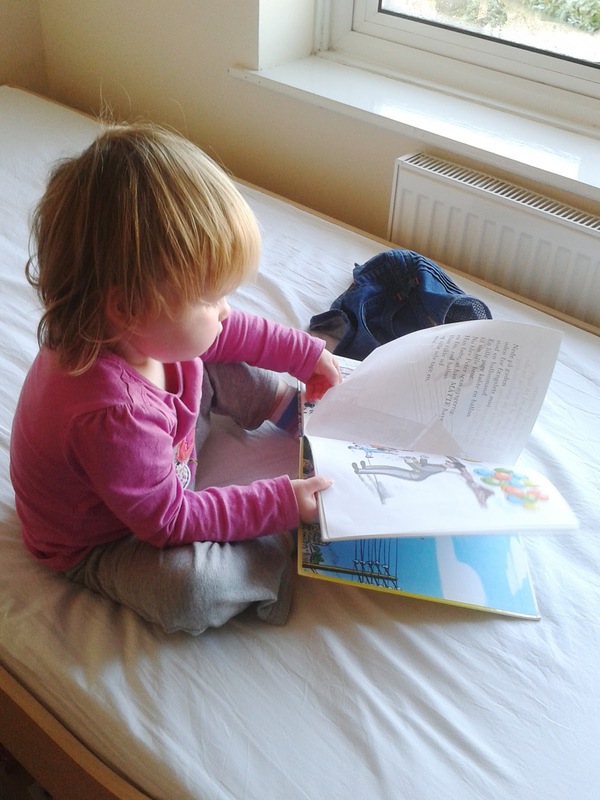 Elizabeth making sure that Toby loves books too!